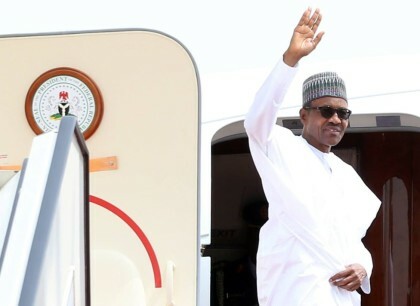 In continuation of the Federal Government’s efforts to achieve greater security of lives, resources and investments in all parts of Nigeria and its sub-region, President Muhammadu Buhari will travel to Malabo tomorrow for talks with President Obiang Nguema Mbasogo of Equatorial Guinea on further measures to protect the people and resources of the Niger Delta and Gulf of Guinea. The conclusion and signing of an agreement by Nigeria and Equatorial Guinea for the establishment of a combined maritime policing and security patrol committee on Tuesday is expected to be the major outcome of President Buhari’s talks with his host. President Buhari and President Mbasogo are also expected to discuss and agree on other collaborative measures to combat crimes such as piracy, crude oil theft, attacks on oil rigs, arms smuggling and human trafficking in the Gulf of Guinea. Both leaders will also confer on the rescheduling of the joint summit of the Economic Community of West African States and the Economic Community of Central African States on additional cooperative measures to curb terrorism and violent extremism in West and Central Africa. The summit was to have been hosted by Equatorial Guinea last year but was postponed because of Nigeria’s general elections. In accordance with the main focus and agenda of the trip, President Buhari will be accompanied by the Minister of Defence, Brig.-Gen. Mansur Dan-Ali (rtd. ), the National Security Adviser, Maj.-Gen. Babagana Monguno (rtd.) and other senior security officials. He is scheduled to return to Abuja on Tuesday.